A simple yet effective device. Utilizing the latest ball bearing technology, Works Engineering air charger device increases charge air into your combustion chamber, allowing better air/fuel mixture hence better combustion. Dyno tested and proven to increase bhp. 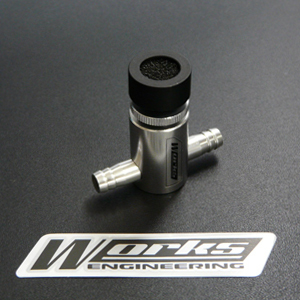 Fits all cars but most effective on forced-induction and auto transmission cars.